From modeling to animation, LightWave gave the Italian artist Massimo Zuanazzi all the tools he needed to create this stunning Drone project called A.ero II. Read all about his creative process and be sure to check out the video! Since the Commodore Amiga days and thanks to this platform, I began to discover the 3D world using LightWave. I was immediately attracted by this software for its ease of use and interface. Using all the power of LightWave 3D, I started to create my first 3D images and to produce commission works. 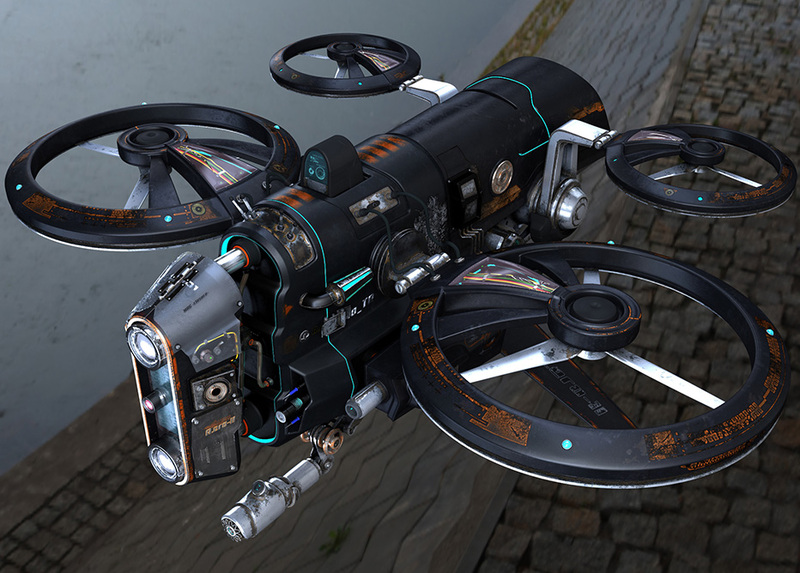 Since then, I've been using this software and thanks to LightWave 2015, I’ve created the project A.ero II, a sci-fi Drone. 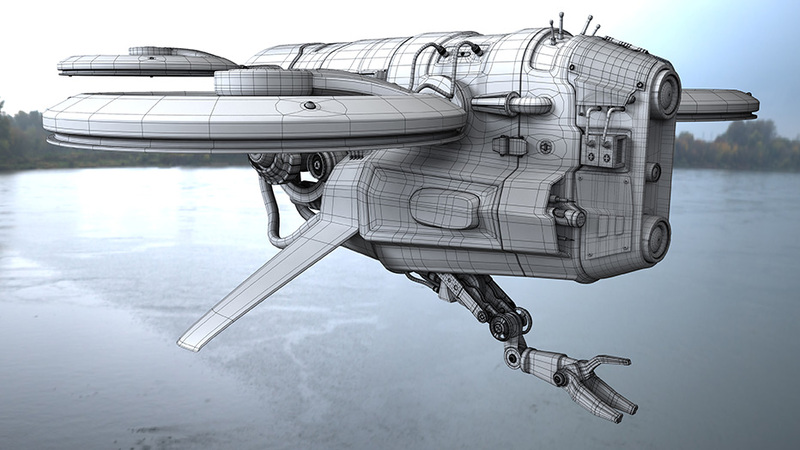 Inspired by many concepts found on the web, I started to study the various mechanical parts and details for this Drone. This process gave me the ability to be more creative and develop this original 3D model. For modeling, I used the hard surface technique combined with subdivison surfaces. 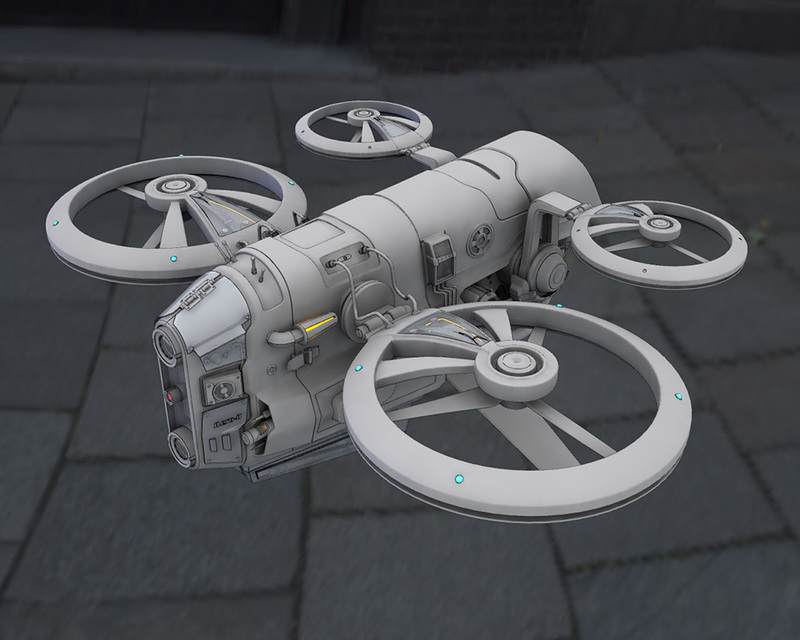 Here is a list of the LightWave tools that helped me to model this Drone: Edit Edges, Multishift, Bevel, Bridge, Band Saw Pro, Transform (very important tool). I also used the 3DRPowers plug-ins. 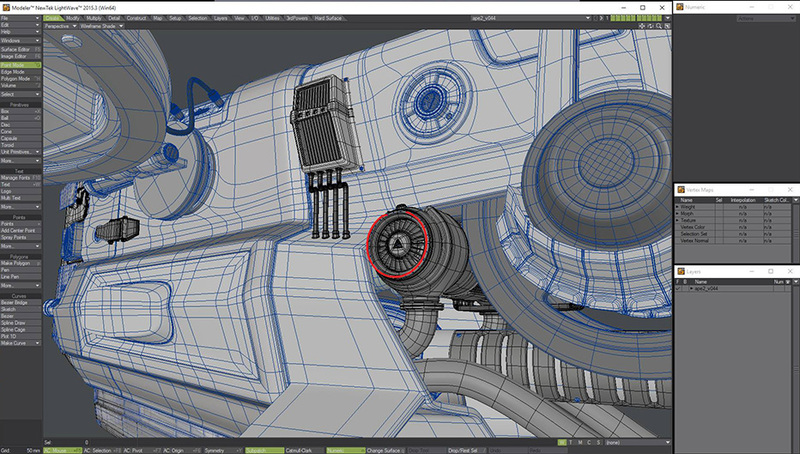 Modeling was almost always performed in the Perspective View. Texturing was made using UVs and painted in Photoshop CS2. 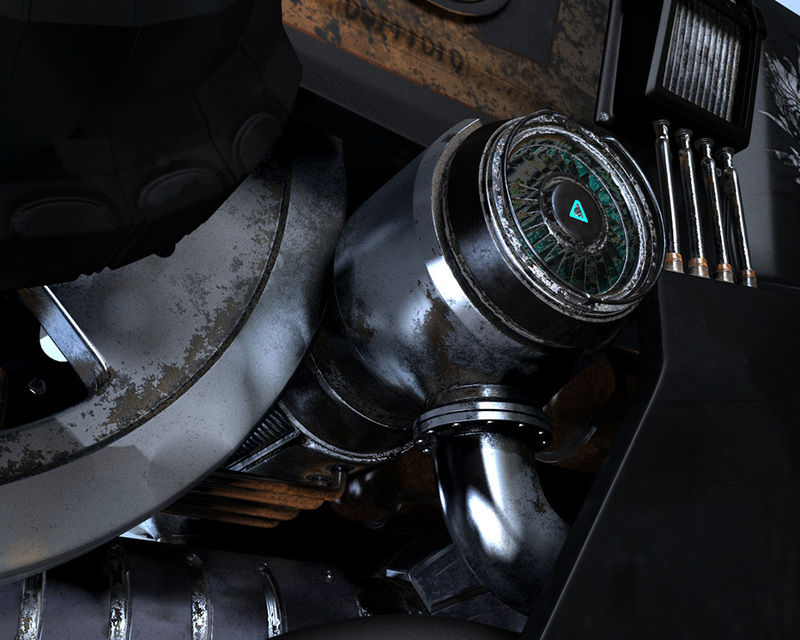 To surface the metal parts, I used procedural textures with nodes. From the start, I kept in mind that A.ero II project was meant to be animated: it has more than 15 independent animated parts you can see in the video. For the render part, I used a non-renderable sphere on which I mapped an HDRI image in order to give some homogeneous light to the scene. I also used 3 Area lights. Well, that's quite all about my project. I want to say thank you to the LightWave 3D Team for this opportunity to show my work, and above all Lino Grandi for his valuable technical support. A special thank to all my friends on LWITA and all the LightWave 3D Facebook groups.